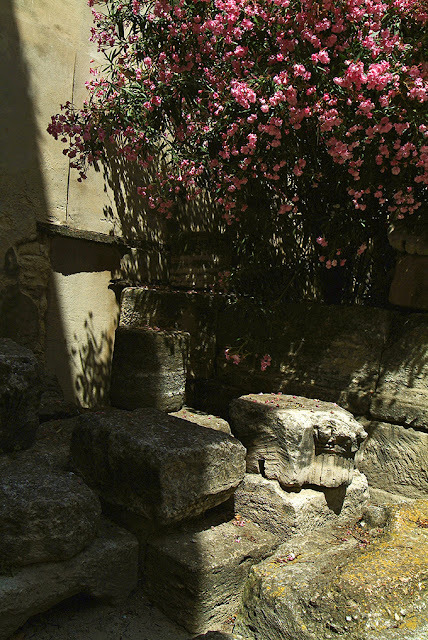 Lost in Arles: Avignon, misc. "In Paris one quarrels, in Avignon one kills." The essence of Avignon has remained somewhat illusive to me. It can be quite stunning, magnifique even and yet, after many visits, I am still searching to define so much of its personality. 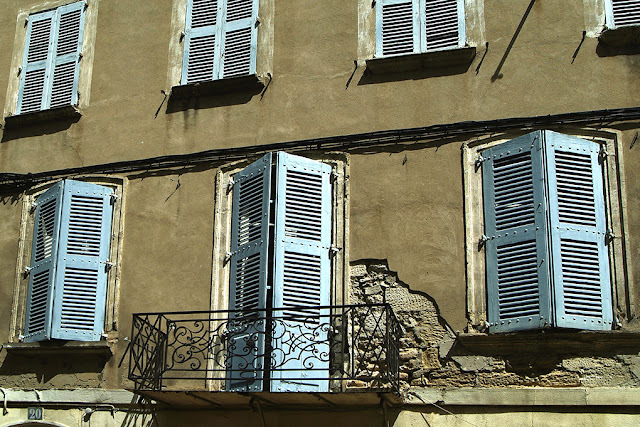 There is a rigidity in the architecture that is so different from the Italian softness of Aix or the olé rondeur of Arles. And the energy can be sharp and static. It's intention is not set out to charm as those other two A-named cities that close le triangle doré do but rather to impress. And that is deeply imbedded in its history. 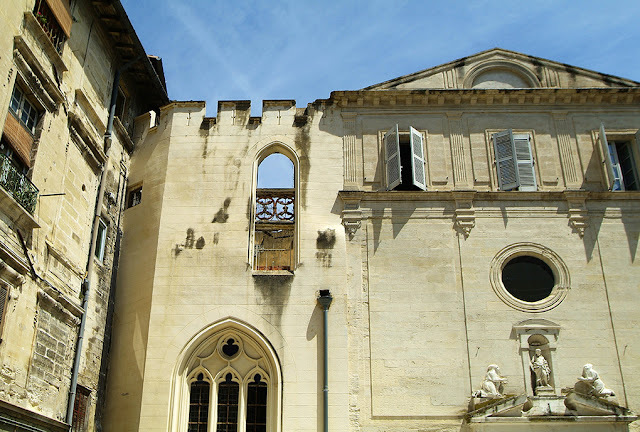 The major shift for Avignon came in 1303 when, amidst chaos and confusion in Rome, a Frenchman - Clement V - was named pope (there is a question of bribery having been involved), one that included transferring the seat of the Papacy to a safer place. 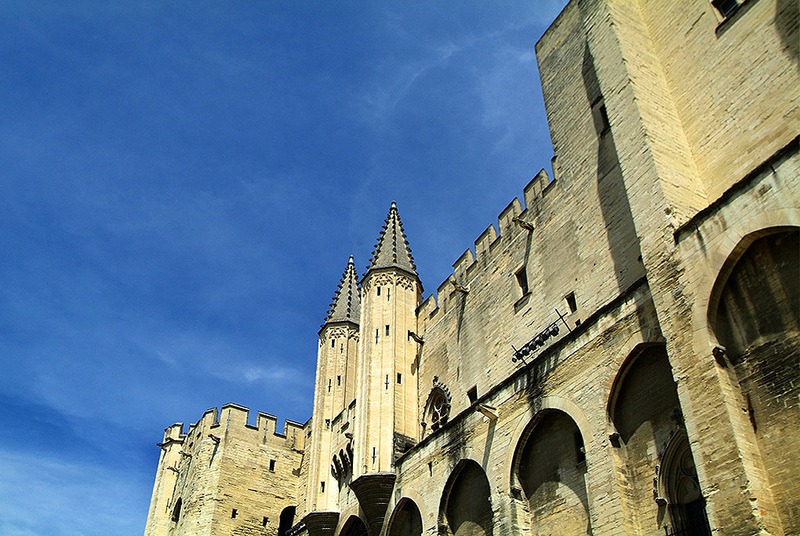 The Angevin Counts of Provence, who were papal allies, were quick to welcome the new pope to the city of Avignon. When Clement V died, he was immediately replaced by the vote of French cardinals, who continued the tradition of embracing a French pope and distancing the power of Rome. These successive popes built palaces upon palaces as the strength of their power took hold to create the Palais des Papes, a residence which was confirmed in 1348 when the Papacy bought the town of Avignon outright from Jeanne I of Naples, an Angevin Countess of Provence who was given 80,000 florins for the sale along with an absolution for her possible involvement in the murder of her husband. 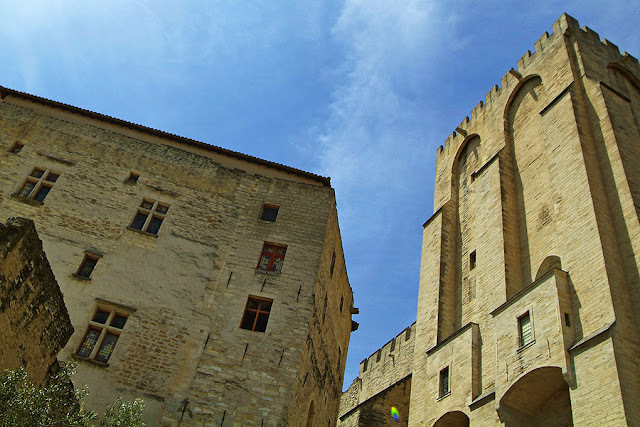 So was Avignon built on blood? You could say that and certainly the years of the Avignon Papacy were considered a dark time. With the residency came money and with the money, especially in the hands of extremely lenient popes, came quite a lot of trouble. 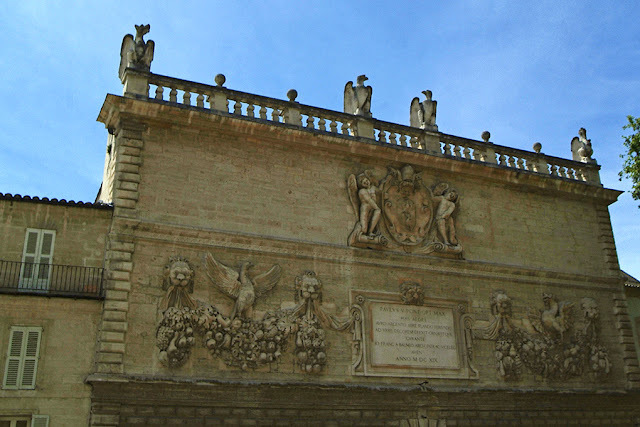 As the great poet Petrarch declared, "Avignon is the hell of living people, the thoroughfare of vice, the sewers of the earth...Prostitutes swarm on the papal beds." Under papal tolerance it was known as a ville ouvert or "open town" that would welcome outcasts such as criminals and heretics. That stance formally remains today and one can come across some fairly shady characters while strolling the rue de la Republique. In 1377, Italy was finally able to bring about the return of the Papacy to Rome and as the seventh Avignon pope died while there, he was replaced by an Italian one. 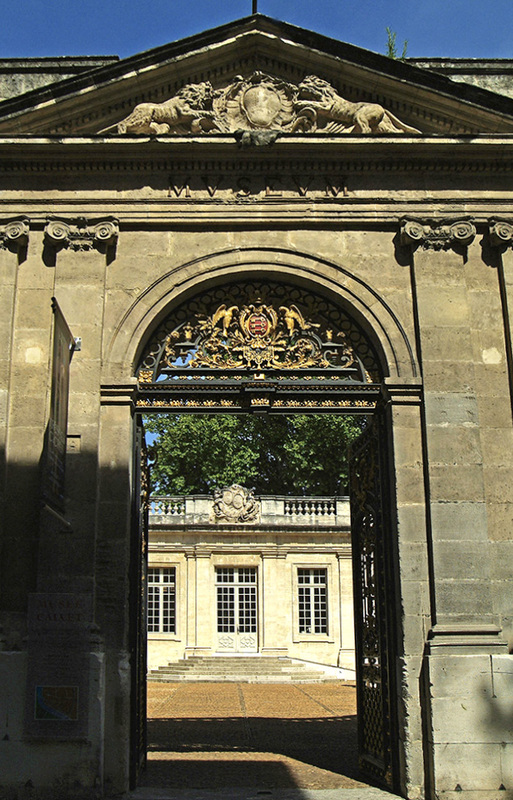 This created an enormous rift, called the Western or Second Great Schism, as the French cardinals immediately elected an antipope to rule in Avignon as well. This feud continued until 1403 when the French people sided with Rome and sent an army to send the antipope packing. Cardinal legates from Rome guided the city - still with a very lax hand - for the next three and a half centuries until the French Revolution, which was, unsurprisingly, especially brutal in Avignon. But of course, that is just one side of the story. The Avignon popes also brought the finest Medieval artists over from Siena to paint the palaces and the remaining masterworks can now be seen at the Musée du Petit Palais. 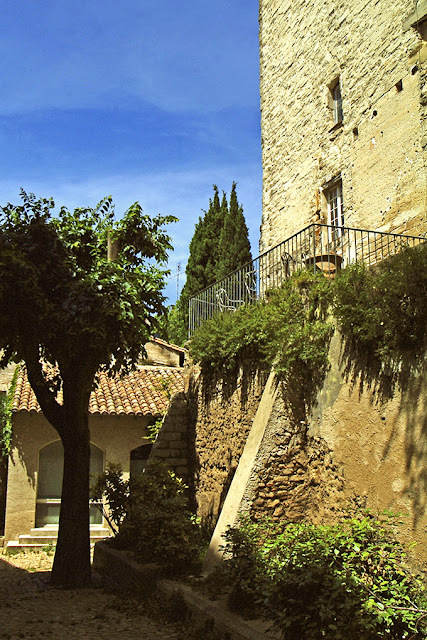 Many great businesses were established under its financial blessings, such as some of the earliest printing houses in the South of France and the city remains a boon to that industry. In 1946, French actor Jean Villar formed the Avignon Festival of Theatre and Film, the greatest in all of Provence which attracts visitors from all over the world. It was named the European City of Culture in 2000 and it is home to several UNESCO World Heritage sites. Add to all of that gorgeous southern sun breaking over the ancient stones, an active café society topped off with the kick of the mistral winds rolling down the bordering Rhone and you have something...a little mysterious and more than enough to give a feeling of je ne sais quoi, to add the miscellaneous chasing on the heels of Avignon. So true, Emily...can you imagine the stories?! One of the very sad times in the history of the Church.With remarkable irony there were some glorious cultural consequences. 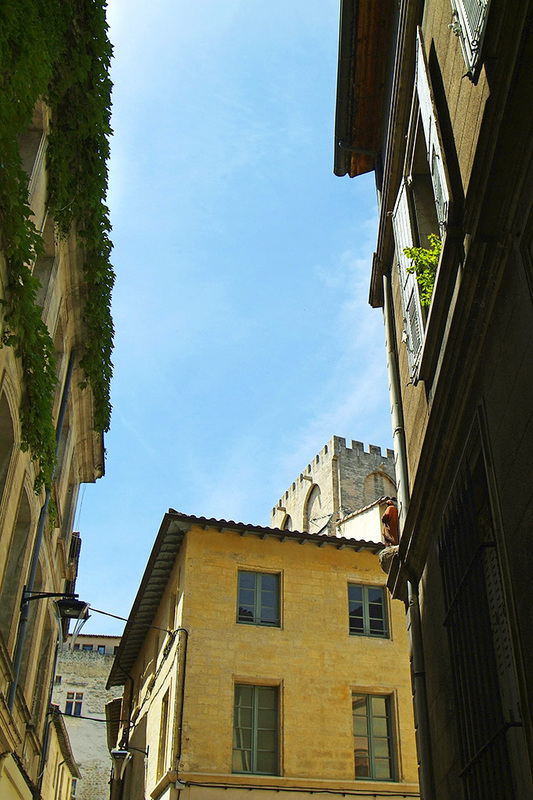 Avignon,one more place to visit. Again you showed an artistic use of light and angles for the wonderful photos. Merci Edgar but in looking at them on my laptop the color seems extreme. I need to use Remi's "spider" to re-align the colors on my desktop. Oh to be there again! Love to go up to the Parc,des Doms, and then later partake of the busyness and happiness of the main squares. Loved your history lesson - so amazing how a city "lived" through all of that! Fascinating place! "sur le pont d'Avignon, l'on y dance tout en ronde". I can see the bridge and ramparts right now! Wow - who knew? (all that history!). You're right, it doesn't have the warmth of Arles but it still looks beautiful, especially with that SKY! Thank you for this informative, beautiful post, beautiful sister! You are welcome beautiful Sister! I love you! This post is a wonderful history lesson! It sent me to Wikipedia to learn more. Now I want to visit even more so than before! Thank you! Oh good! I forgot to put the link to Wiki as I often do although I also used local sources - there is so much to take in and learn about all of this! I feel like I touched the tip of the iceberg! Heehee...I think a lot of us first learned about the French Revolution from Les Mis! But oh yes, major destruction - especially in such a religious town as Avignon. Parts of the Palais des Papes were used as a prison and afterwards people would cut out the frescoes on the walls to sell to tourists! We must get back to Avignon one of these days. Great article, Heather. 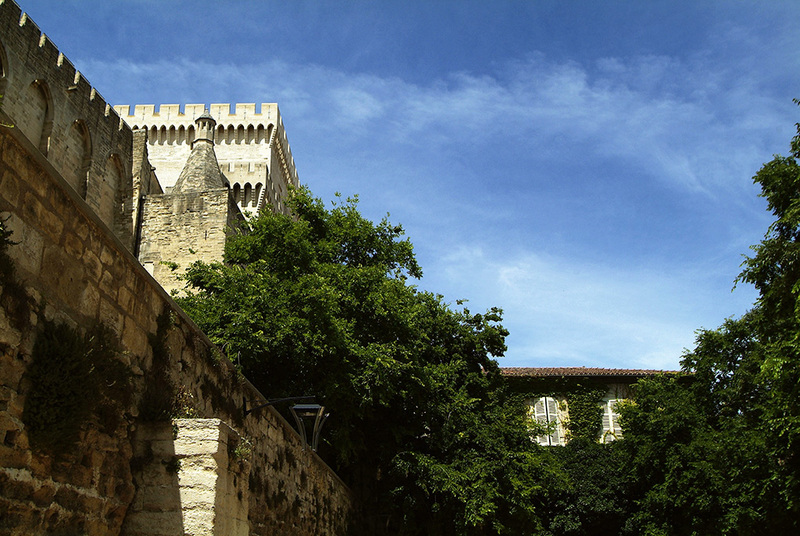 Avignon is so beautiful and your photos certainly do it justive. I find these old, historic so awe-inspiring and grand that sometimes they seem to feel a bit other-worldly (is that even a word?). As another commenter said, "if only those walls could chat!" I need a chat with YOU! You have been twice?! So close and yet so far!!!! When I am fortunate enough to find myself in Europe, I am awed by the architecture in all its grandeur and nuance. Avignon is a city I've never visited, but you have no whet my appetite! I rarely make it to the South when I am in France, but I have spent a bit of time in Nice and Aix, and visited Marseille... but it's been much too long.